2213 Linnington Ave, LA CA 90064 lasted a brief 15 days on the market before receiving its 2nd accepted offer on 4/6/10. 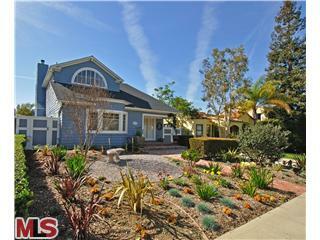 Listed on 2/24/10 for $1,450,000, the home had multiples offers and went into escrow the first time after only a week. After about 3 weeks in escrow, the buyer fell out and a few more offers came in to purchase the property again. 2213 Linnington Ave ended up closing on 5/12/10 for $50k over the asking price, $1,500,000. According to the MLS, the home is a 4 bedroom / 3.5 bath, 2,781 sq ft of living space on a 6,075 sq ft lot.